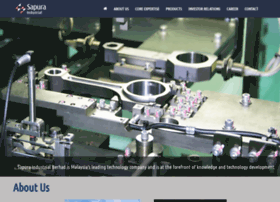 Sapura Industrial Berhad is Malaysia’s leading technology company and is at the forefront of knowledge and technology development. Our innovations have enabled us to achieve competitiveness in the global automotive industry. Supported by our strong core values and technology driven professionals, we continue to reach for greater heights of achievements.